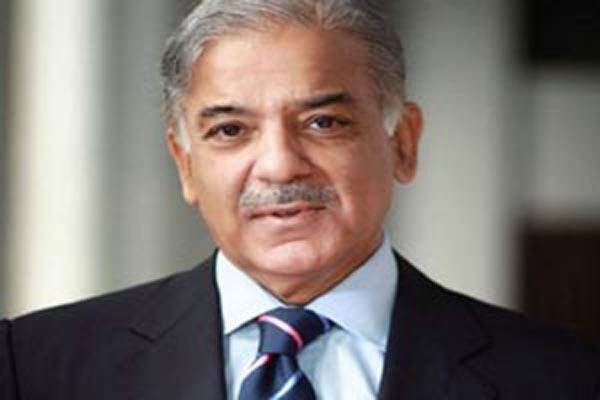 LAHORE, Oct 19 (APP): Punjab Chief Minister Muhammad Shehbaz Sharif has said Pakistan is making rapid progress under the leadership of Prime Minister Muhammad Nawaz Sharif and destiny of the country is going to change during next 18 months. He said all development projects including metro bus, orange line metro train, safe city project or energy projects are examples of transparency adding if corruption of even a single penny is proved against him in these projects he will quit politics and apologize. He said Khan Sahib who is talking about corruption has those people on his left and right who got loans of billions of rupees written off and grabbed lands worth billions of rupees around Lahore. “Why Imran Khan does not speak about qabza mafia,” he questioned. Shehbaz Sharif said that the conspiracies to stop development process and lockdown Islamabad will fail and attempts to hinder the process of prosperity of the common man and development of the country will never succeed. He was addressing meeting of provincial council after his unopposed election as President Pakistan Muslim League-N Punjab in intra-party elections at Expo center here on Wednesday. The Chief Minister thanked Allah Almigty and also expressed his gratitude to those who elected Prime Minister Muhammad Nawaz Sharif as unopposed President PML-N and gave him leadership of the party while expressed their confidence in him through electing him as unopposed President of PML-N Punjab. He said Pakistan Muslim League-N will move forward under the leadership of Muhammad Nawaz Sharif and complete the journey of public service successfully. Shehbaz Sharif also thanked Allah Almighty and the masses who have again given him responsibility of presidentship of PML-N Punjab besides honor of Khadim-e-Punjab. He said Pakistan is moving towards progress and prosperity under the leadership of Prime Minister Muhammad Nawaz Sharif and darkness will be ended with the completion of power projects next year. He said due to resolving of energy crisis, there will be no load-shedding anywhere in the country while agriculture sector will develop. He said it would be a big revolution and service to the country. However, the Chief Minister said it lamentable that conspiracies are being hatched to lockdown Islamabad and paralyze Pakistan. He said as a result of effective government policies, economy is strengthening, lakhs of job opportunities are being created and education, health, agriculture and other social sectors are improving. The Chief Minister said he is ready to face accountability if corruption of even a single penny is proved in the development projects worth billions of rupees. He said it is ironic that such a person is talking against corruption who has those who got loans written off and ringleader of qabza mafia on both his sides. He said these people are also against CPEC and Chief Minister of Khyber Pakhtunkhawa has proved it by speaking against CPEC. He said China is a sincere friend of Pakistan and there is no other example that any country gave historic package of 46 billion dollars for the progress of Pakistan. He said future generations of Pakistan will also be thankful to China which helped Pakistan at this difficult time and gave unprecedented package. He said that orange line metro train is also the project of China and it has so far given 45 billion rupees for this project out of Rs 150 billion. He said this project is for the whole country but the enemies to the progress of Pakistan are making hue and cry and opposing this project. of China for Pakistan and is being opposed only by those who are enemies of progress and prosperity of the masses. He said that PTI is also behind opposition to welfare projects like metro train because when Punjab government filed an appeal in Supreme Court, PTI formally requested to become a party. He said when someone told PTI that the whole Punjab will turn against it, PTI withdrew its request. However, the Chief Minister said the real face of PTI has been exposed and people know that PTI is against this project aimed at the benefit of children, teachers, lawyers, labourers, widows, orphans and poor people. He said those opposing public welfare projects will never be sincere to the masses. and speedy transport facility to the common man. He said those opposing this modern transport system of international standard cannot be sincere to the masses. He said those political elements as are threatening to lockdown Islamabad should show mercy to Pakistan. The Chief Minister also requested Supreme Court to form a full court and review the allegations. He said if Khan Sahib who is leveling allegations of corruption proved it against him or his leader Muhammad Nawaz Sharif, he will leave politics forever and apologize to the masses. He said if allegations of grabbing of lands, waiving off loans, making properties and concealing facts from election commission are proved against these elements, Supreme Court should decide itself. He said CPEC is the project of public welfare but PTI is opposing it and Chief Minister of KPK who belongs to this political party is also issuing statements against CPEC. He said China which is a friend of Pakistan has given historic package of 46 billion dollars and out of this amount, 36 billion dollars are being spent on energy projects. He said there has been no other country which gave such a big package for the prosperity of 20 crore people of Pakistan. He said instead of opposing China these people should be grateful to it. He said while work is in progress speedily over the investment package of China, those against CPEC are showing opposition to China which is a benefactor of Pakistan. Shehbaz Sharif said if these elements love Pakistan they should be grateful to China for helping Pakistan at this difficult time. He said PTI is showing his enmity to the country by conspiring to lockdown Islamabad. He said PTI is perturbed over progress of Pakistan and its sit-ins are against the process of development. He said PTI is also opposing Kisan Package as it has no interest in development of agriculture sector and prosperity of farmers. He said conspiracies against national progress and prosperity and public welfare projects will fail and the journey of progress will continue under the leadership of Prime Minister Muhammad Nawaz Sharif. Federal Minister for Information & Broadcasting Pervaiz Rasheed, Federal Planning & Development Minister Ahsan Iqbal, Provincial Ministers, Members National & Provincial Assembly, office-bearers of PML-N and a large number of members of provincial council were present on the occasion.